The signs are that the energy infrastructure/midstream sector have set up for a multi-year bull market recovery from the declines of the previous two years. A handful of energy midstream companies have gotten a jump on their peers and have already put up nice gains to date in 2018. Even with the 20% to 30% gains over the last few months, these energy sector leaders still have plenty of upside runway. 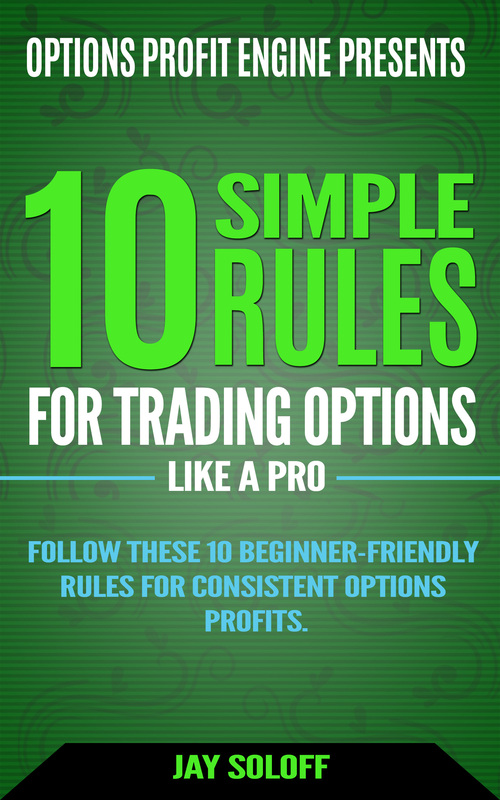 It is not time to sell and it is not to late to join the ride with these stocks. Prior to 2015, the majority of energy midstream service companies were organized as master limited partnerships –MLPs. These companies provide the assets and services needed to move energy commodities such as crude oil and natural gas from the well to the end user. The companies provide gathering and processing services in the energy plays, pipeline and other transport services, and own storage and terminal facilities. The energy sector crash that started in 2015 and lasted well into 2017 forced a lot of the infrastructure companies to restructure their balance sheets and business models. Now you will find a larger number of companies organized as corporations. However, about two-thirds of the publicly traded infrastructure/midstream companies are still organized as MLPs. The steady growth in North American production of crude oil and natural gas is increasing the need for midstream services. The energy infrastructure companies are filling their pipelines, processing plants and storage terminals. They are launching new projects to handle the forecast growth. Revenues, free cash flow, and dividends paid to investors are on the upswing. Most of the companies have not seen the rising values reflected in their share prices. In contrast to the herd, a small number of the best run midstream companies working in the most prolific energy plays are up 20% to 30% (plus distributions) already this year. You can expect these companies to lead the pack for the rest of the year. 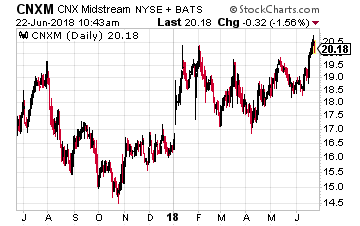 CNX Midstream Partners LP (NYSE: CNXM) is up 23.7% so far this year. CNXM is an MLP that owns, operates, develops and acquires gathering and other midstream energy assets to service natural gas production in the Appalachian Basin in Pennsylvania and West Virginia. The company operates in the Marcellus and Utica shales, the most prolific natural gas play in the U.S., if not the world. This MLP primarily provides services to CNX Resources Corporation (NYSE: CNX), which has a significant portfolio of midstream assets to be transferred to the MLP. CNXM has provided distribution growth guidance of 15% per year through at least 2022. The CNXM units currently yield 6.7. 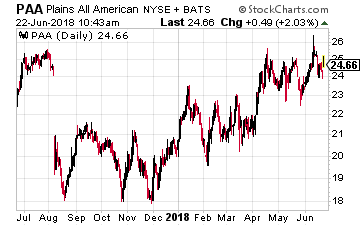 Plains All American Pipeline LP (NYSE: PAA) is up 20.5% year to date. Plains owns and operates the largest independent network of crude oil gather systems, crude oil long distance pipelines, and crude oil storage facilities. The company has the largest gathering presence in the rich Permian energy play. It has one of the best pipeline takeaway capacities and is leading the charge to build new pipelines out of the Permian. This region is the growth engine of U.S. oil production and Plains All American Pipelines is best positioned to benefit from the production growth. The company offers alternative shares in Plains GP Holdings LP (NYSE: PAGP). Both securities pay the same distribution rates (each PAGP share is backed by a PAA unit. The difference is that PAGP is a 1099 reporting company for taxes. Plains should resume distribution growth in 2019. The shares currently yield 5.0%. 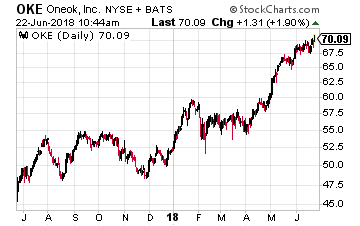 ONEOK, Inc. (NYSE: OKE) is up 29.8% so far in 2018. ONEOK (pronounced one-oak) is one of the largest energy midstream service providers in the U.S., connecting prolific supply basins with key market centers. It owns and operates one of the nation’s premier natural gas liquids (NGL) systems and is a leader in the gathering, processing, storage and transportation of natural gas. ONEOK’s operations include a 38,000-mile integrated network of NGL and natural gas pipelines, processing plants, fractionators and storage facilities in the Mid-Continent, Williston, Permian and Rocky Mountain regions. In mid-2017 the company merged its controlled MLP into the corporate parent. The share price gains show that the market likes this energy midstream company as a corporation. The OKE dividends increase every quarter and are forecast to grow by 10% per year. The shares currently yield 4.6%.